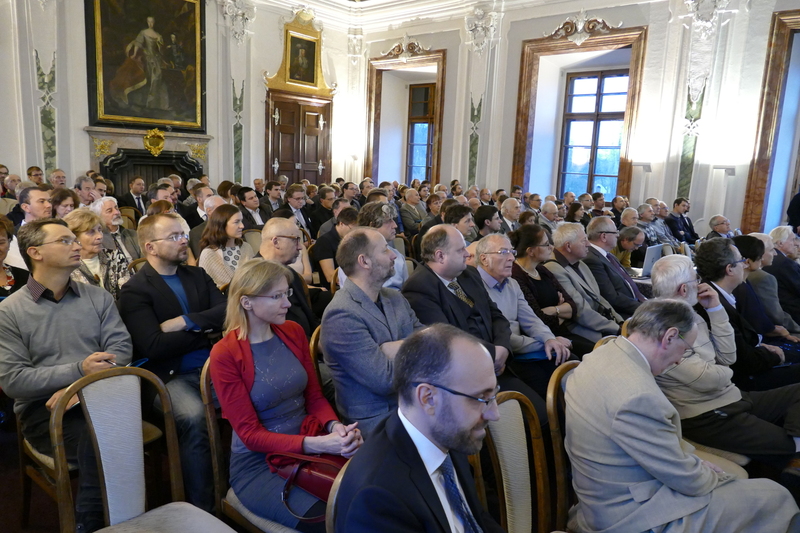 On January 7, 2019, the Institute of Information Theory and Automation (UTIA) of the Czech Academy of Sciences celebrated its sixtieth anniversary. The celebration gathering was held in the Břevnov Monastery in Prague. The first part of the program consisted of six invited talks. Each talk was devoted to one consecutive decade in the history of UTIA, and given by one of the researchers who joined UTIA at the respective decade. The talks were followed by a ceremonial toast given by the President of the Czech Academy of Sciences, Professor Eva Zažímalová. The celebration then continued by a reception held on the Monastery premises.